Members of the sorority Kappa Alpha Theta outside of the Sheraton Commander Hotel as new members of their sororities exit the hotel after receiving their bids. Harvard’s chapter of the all-female sorority Kappa Alpha Theta will become the gender-neutral social group “Theta Zeta Xi” and will disaffiliate from its national organization in the fall of 2018, the club announced Monday. 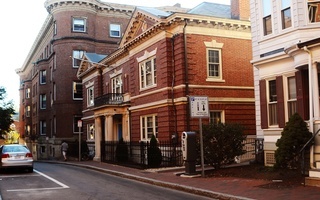 In a statement, club members tied the decision to go co-ed directly to the College’s social group penalties, writing they are acting “in good faith with Harvard’s social organization and nondiscrimination policies.” The College’s sanctions—which took effect with the Class of 2021—bar members of single-gender final clubs and Greek organizations from holding student group leadership positions, varsity athletic team captaincies, and from receiving College endorsement for prestigious fellowships. “This decision reflects our commitment to supporting our members as they take full advantage of the academic and leadership opportunities available to them as Harvard students, which we believe is central to our mission,” the statement reads. Theta members voted unanimously to go co-ed, according to the statement. Theta Zeta Xi CEO Rena N. Simkowitz ’19, a Crimson sports editor, wrote in an email that she met regularly with officials in the Dean of Students Office over the past few months. Theta initially opposed going co-ed. After the Harvard Corporation, the University’s highest governing body, voted to adopt the sanctions in Dec. 2017—ending years of debate and uncertainty—Theta released a defiant joint statement with sororities Alpha Phi and Delta Gamma announcing all three would continue to hold all-female recruitment in the spring of 2018. Theta is the latest in a series of social groups to go co-ed. 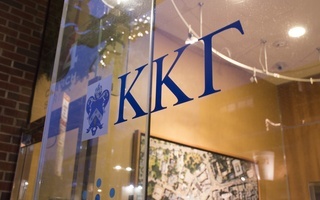 Most recently, Harvard’s chapter of Kappa Kappa Gamma in Jan. 2018 became the gender-neutral group the Fleur-de-Lis. In the fall of 2017, all-male fraternities Kappa Sigma and Alpha Epsilon Phi voted to leave their national organizations and become co-ed organizations the KS and the Aleph, respectively. The Oak Club, the Sablière Society, the Seneca, and the Spee Club all relinquished their single-gender status over the past three years. How the sanctions should apply to Harvard’s all-female social groups has long been a point of controversy. In March 2018, the College announced it would not pursue a proposed “bridge” program that would have allowed traditionally all-female social groups a longer period of time to go gender-neutral. 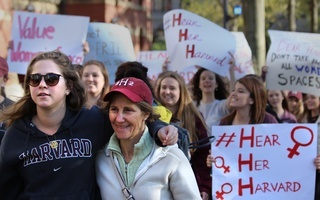 Instead, Harvard dedicated resources and personnel—including the Harvard College Women’s Center—specifically to help women’s groups transition. Dean of Students Katherine G. O’Dair announced a new framework for governing recognized social organizations in May. The framework details three tiers of recognition that social groups can apply for: “Interim Recognition,” “Full Recognition,” and “Full Recognition with Distinction.” Each tier comes with a different set of requirements and benefits granted by the College—and each ensures member groups are exempt from the sanctions. Though in future years the group hopes to achieve “Full Recognition,” for the upcoming school year Theta Zeta Xi will pursue only “Interim Recognition” to ensure its recruitment process “best reflects our commitment to diversity, equity, and non-discrimination,” according to Simkowitz. Theta Zeta Xi plans to hold its first recruitment in the spring semester, Simkowitz wrote in her email. She added the group will hold discussions with both students and College administrators throughout its transition. 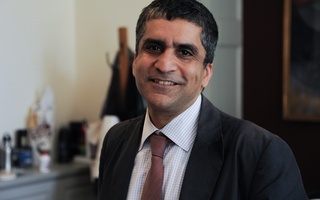 “Our leadership looks forward to working closely with our current members, the Dean of Students Office and other like-minded groups to discuss how to best balance our commitment to uphold our group’s values and mission as a women’s focused organization without having a specific gender identity be a criterion for membership,” Simkowitz wrote. Elizabeth A. Rinck, director of communications of the international Kappa Alpha Theta, wrote in an email the organization is disappointed by the College’s enforcement of the sanctions, but supports the Harvard chapter’s decision to break ties. 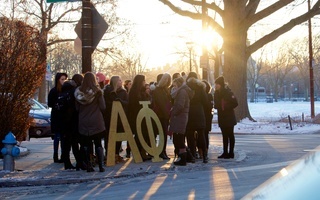 “While we are saddened by circumstances that forced our sisters to make an impossible choice, we support their desire to form an organization independent of Kappa Alpha Theta and recognized by Harvard University, giving current and future members the ability to participate fully in college life,” Rinck wrote. In a statement provided by a spokesperson, Associate Dean of Student Engagement Alexander R. Miller wrote he welcomed students' efforts in helping build a "strong foundation of community values" including "inclusion" and "non-discrimination."